I N D I V I D U A L I T Y: Modeling for Wut Berlin "Dark Renaissance" this Sat in Tokyo! 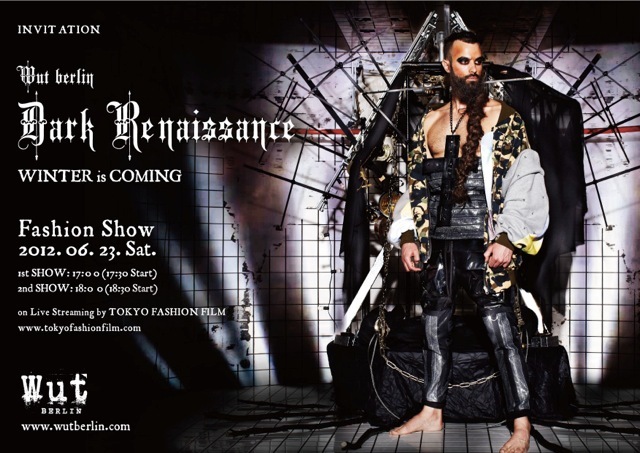 Modeling for Wut Berlin "Dark Renaissance" this Sat in Tokyo! It's been 6 months since I last modeled for Wut Berlin's fashion show. 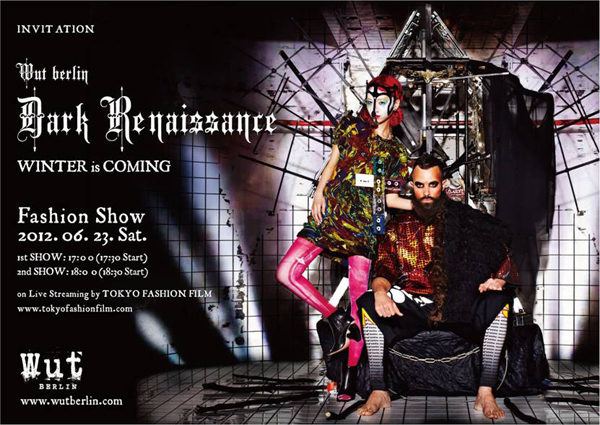 And now, this coming Sat, June 23rd, staring at 5p.m, I will be modeling again for their "Dark Renaissance" 2012-2013 Autumn & Winter Fashion Show! Come to see us if you are in Tokyo!